That's not always the case with countless other cars. There have been too many incidents of great cars receiving unnecessary tuning jobs, ruining what were once good things. 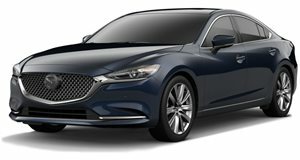 But that’s not at all the case with the Mazda6 and the all-new Mazda3. Mazda has just revealed four new concepts at SEMA and we’re impressed by them all. The Club Sport 3 features a Slate White exterior with metallic silver accents and unique body side graphics. It also has an aerodynamic kit and 20-inch wheels. The Club Sport 6 resembles its smaller counterpart but now has Brembo brakes and a Racing Beat exhaust. It’s also powered by SkyActiv diesel. The Vector 3 has what Mazda calls a Deep Crimson exterior and 19" wheels. It too comes with Brembo brakes and a spring kit. Last up is the Ceramic 6, which has a white paint job with metallic accents and 20" alloys. Along with those Brembos and upgraded exhaust, the interior is covered in premium leather. Will any of these concepts make production? 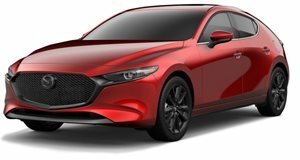 No, probably not, but we wouldn’t be surprised to see Mazda offer some of these accessories at some point down the line.